Welcome to the 2018 Street Style Awards, where we are taking a look back at some of the biggest fashion highlights from the past year that were born and blew up on the street style scene. A lot of sartorial goodness has happened over the course of this year, which gives us even more reason to hit pause and reflect on the trends, brands, and products that most affected our style (and our wallets). So, here’s how it worked: The editors at Who What Wear assembled a list of the 2018 trends that reigned supreme, created a voting form, and sent it out to all of you. Thanks to the reader votes and the votes of our very reputable panel of critics, the results are finally in. Before we reveal the winners, let’s talk about our panel of judges. 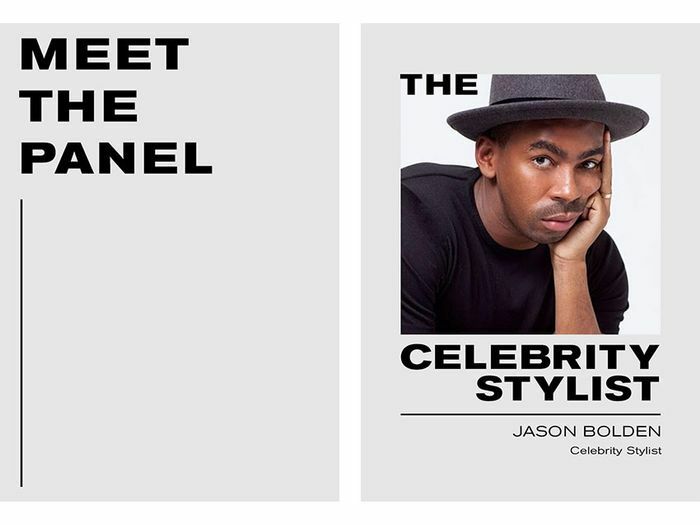 Ahead, you’ll hear from Booth Moore, author and style and fashion news director at The Hollywood Reporter; Elizabeth von der Goltz, global buying director of NET-A-PORTER; Jason Bolden, celebrity stylist; Alison Stiefel, VP of marketing at ShopStyle; and Kat Collings, Who What Wear’s very own editor in chief. If that list of industry experts doesn’t intrigue you, we don’t know what will. Now, after hearing each unique perspective in the selection process, it is with pride and excitement that we present to you the winners of this year’s Street Style Awards. Ahead, find an at-a-glance summary of the winning trends, read what our critics and readers had to say about each, and shop the best pieces each trend has to offer. There were a lot of uncertainties throughout 2018, but animal print was not one of them. What started out as the resurgence of leopard print quickly snowballed into the rise of wild looks of all kinds. 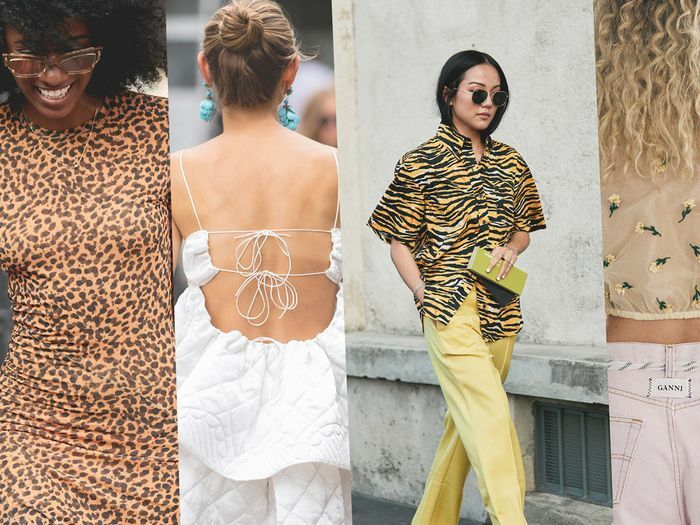 Everything from snakeskin to tiger prints took center stage on the street style scene, our Instagram feeds, and the sites of nearly every major fashion retailer, for more reasons than one. One reader described the trend as “versatile, festive, and casual—it fits with every outfit and every occasion,” and we couldn’t agree more. “I feel as though this has become the new neutral that you can pair with anything, at any time of the year,” explains von der Goltz. Readers also elaborated on the fact that this is the one trend they “have seen the most of on Instagram and in real life” (emphasis on the real). Considering all the above—the versatility, the popularity, and the wearabilty—it’s clear why this 2018 trend reigned supreme. In sum, it was destined for wild success. Bolden commented on this trend the best: “Everyone wants to be comfy and relaxed!” Motto for 2019? We think so. When a trend is equal parts cool and comfortable, there’s obviously more of a draw for people to actually want to wear it. Mind-blowing, isn’t it? At first, the whole concept of dad sneakers seemed daunting due to their “ugly” appearance, but that didn’t seem to stop anyone, ourselves included. “The idea of ugly sneakers is, to me, the ideal picture of the progressive and fun fashion of 2018,” a reader told us, and boy, did it progress. The year started off with this trend’s aesthetic looking a bit chunky but quickly transformed into straight-up “dad” mode. Danish girls paved the way (as they did with many new trends this year) in this regard as they reintroduced forgotten brands like New Balance into the mix, keeping the trend feeling fresh. Keeping tabs on the evolution of dad sneakers throughout this year required little to no effort, as celebrities, influencers, and more sported the trend. “Dad sneakers were created by every designer, and they sold like crazy. This a trend that is here to stay,” said von der Goltz. In other words, if you have yet to test out this It item, we have expert-provided proof that it’s here to stay for 2019. “Thanks, it’s Ganni” is a phrase you’ve either said or heard on more than one occasion throughout this year. This Copenhagen-based brand, run by the husband-and-wife team of Creative Director Ditte Reffstrup and founder Nicolaj Reffstrup, has been around since 2009 but really started gaining steam in the U.S. over the last couple of years. While it’s essentially built into the brand’s DNA to design eye-catching pieces of all kinds, 2018 was the year Ganni imprinted itself into our brains as the contemporary fashion label to know and wear. “Ganni leads trends, and it’s just a lovely bonus that it’s at an accessible price point,” explains Collings. The price tag is something we can only assume helped ignite a fire in fans of the brand, ultimately giving them greater access to the pieces their favorite It girls are wearing. Be it that colorful striped sweater or those iconic cowboy boots, we champion Ganni today for being the brand that won the hearts of, well, pretty much everyone. “This glorious brand is incredibly diverse, yet it maintains its own spirit—channeling (and leading) the new Scandi style; more fun, less minimalistic,” said a reader. Check, check, and check. Unlike the overwhelming wearability of the Danish brand Ganni, Cecilie Bahnsen airs more on the “reserved for special occasions” side of the spectrum—that is, until quite recently. As of late, we’ve seen the brand infiltrate the day-to-day wardrobes of some of the internet’s favorite up-and-comers (are you seeing a theme here?) as they have quickly started convincing us that the brand’s sculptural silhouettes are more approachable than we once thought. Come next year, we’re placing bets that this brand will continue to climb its way up the sartorial ladder—you’ll see. Here’s a challenge for you—see if you can go an entire day without seeing at least one Dior Saddle Bag on Instagram. "I’m pretty sure I saw that bag on every blogger’s Insta two times a day. It’s iconic for a reason,” a reader excitedly shared. Yes, it’s that popular. We started reporting on this iconic bag’s triumphant return back in February with the hunch that we’d be seeing a lot more of the nostalgic style as the year went on, but I think I speak for everyone when I say we had no idea the style would take over at quite the volume and speed that it did. “With the revitalization of late-’90s style favorites like high-waisted jeans, chokers, bodysuits, and crop tops, we saw Dior go back to the vault to bring back the saddle bag with great effect. Interest in Dior grew by 25% year over year,” Stiefel told us. Additionally, the launch of the iconic house’s 2018 version of the Saddle Bag bubbled up a whole new side of the trend as consumers seemed nearly desperate to get their hands on one. Any sort of logo-adorned Dior bag suddenly filled the pages of designer resale sites like The RealReal and What Goes Around Comes Around since investing in one of the newer versions was not an attainable purchase for most. But one thing’s for certain—new or vintage, whenever someone finally owned this bag, the whole world knew about it. Pics or it didn’t happen, right? Dad sneakers may have won the It item of the year title, but within that overarching trend was the undeniable presence of one very large shoe style—the Balenciaga Triple S sneakers. “The dad sneaker is the trend everyone loves to hate but loves to wear,” Moore told us, “and this style was the pacesetter, made palatable by cool girls like Tracee Ellis Ross.” Moore is right—dad sneakers were one of the most “hated” trends of 2018, but somehow that didn’t stop a lot of people from wearing them. “The Triple S is iconic,” a reader told us. “It made the chunky dad sneaker cool and wearable.” Not that every trend necessarily needs a high-fashion designer’s stamp of approval (look at Susan Alexandra and her cult following of beaded-bag lovers), but seeing a product set the pace for an entire trend definitely gives wearers a sense of peace, especially when the trend involves five pounds of rubber on your soles. “A sign of the rise of eccentric dressing, leopard print became the new neutral,” Moore explained, perfectly aligning with the aforementioned claim that all animal prints are officially considered neutrals. This means that despite the rather loud nature of the print, people have learned to incorporate the trend into their daily wardrobes with little to no effort. Thanks to the black-and-brown color palette, leopard is a print that goes with almost anything, from muted hues to bold colors. Throw a stripe in there, and you’ll have yourself a street style–ready look in no time. This print trend took to the streets in the form of accessories and ready-to-wear products alike. The sheer availability of the print allowed people with varying style types to test out the trend in a way that was on brand with them. Minimalists opted for leopard loafers, maximalists a leopard dress, and so on and so forth. Additionally, considering that this print has proven itself for years to be a classic, buying into the trend is buying into a wardrobe staple, and we’re always supportive of a shopping decision like that. And that, ladies and gentlemen, is a wrap on the biggest trends, products, and brands of 2018. We can’t wait to see what fashion highlights bubble and break on the street style scene next year. See you there.